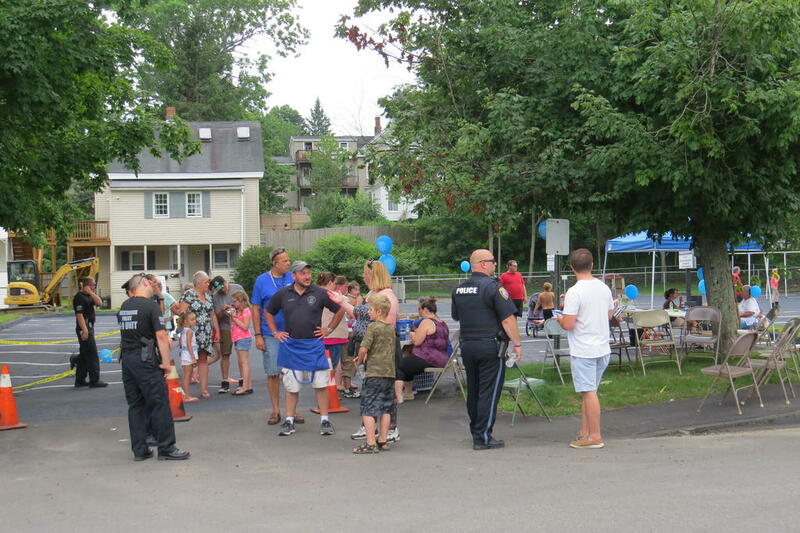 National Night Out was held Tuesday behind Anderson-Watkins Insurance on Quimby Avenue in Westbrook. The event, which included free food, activities and demonstrations, is aimed at creating a better relationship between police officers and residents. School Resource Officer Sandy Mailman hands out stickers and other items to children at the Westbrook Police Department’s National Night Out Tuesday. 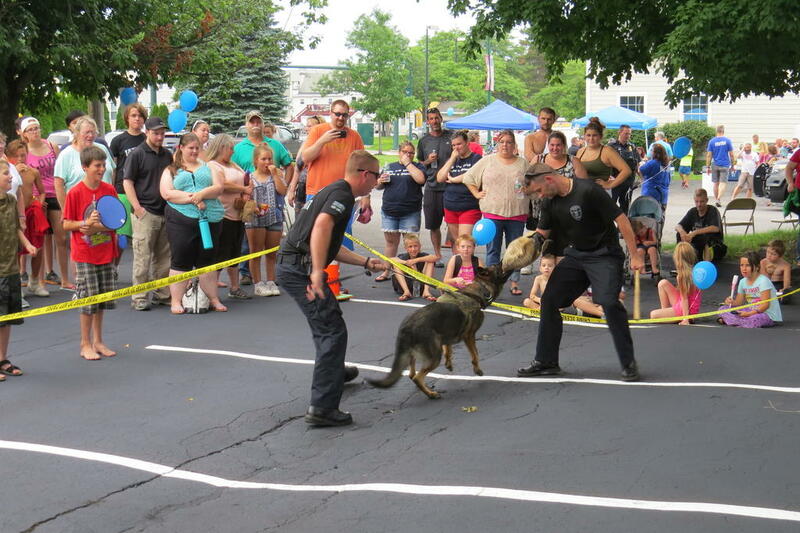 K9 officers Ben Hall, left, and Jeremy Smith work with Brook during a demonstration Aug. 7 at National Night Out on Quimby Avenue in Westbrook. The event was Westbrook’s fourth annual and first on the southside of the Presumpscot River. Previous events were held on Brown Street. Kids find a little bit of relief from the heat Tuesday evening during Westbrook’s annual National Night Out, an event to bring together police officers and residents.